Disinstalla completamente programmi, app Windows, e plug-in dal computer. 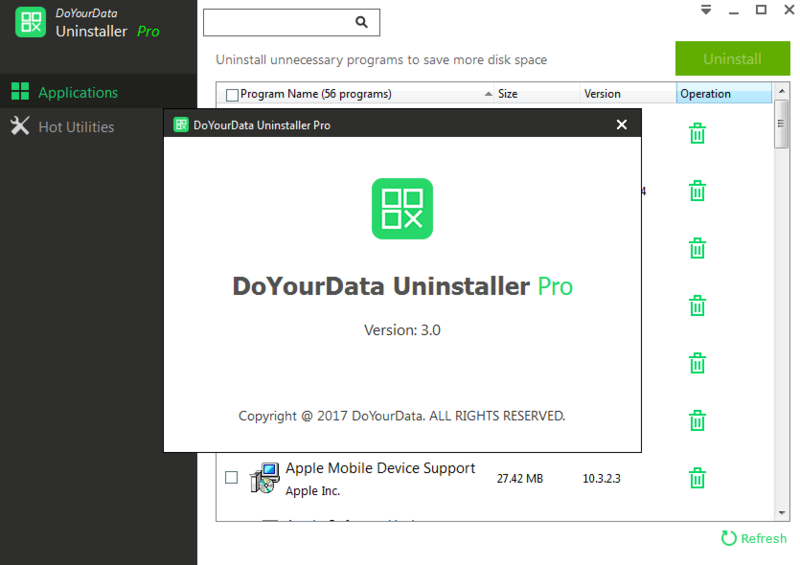 DoYourData Uninstaller Pro 3.1 era disponibile come app gratuita il 18 agosto 2018! 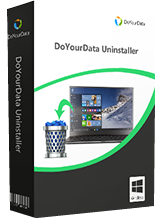 DoYourData Uninstaller Pro offre una soluzione complete per gli utenti Windows per disinstallare completamente programmi, app Windows e plug-in dal computer. Disinstalla programmi selezionati e pulisce completamente tutti i residui come file junk, registri, log, cache, ecc. NB: I dati di registrazione sono contenuti nel file Readme. 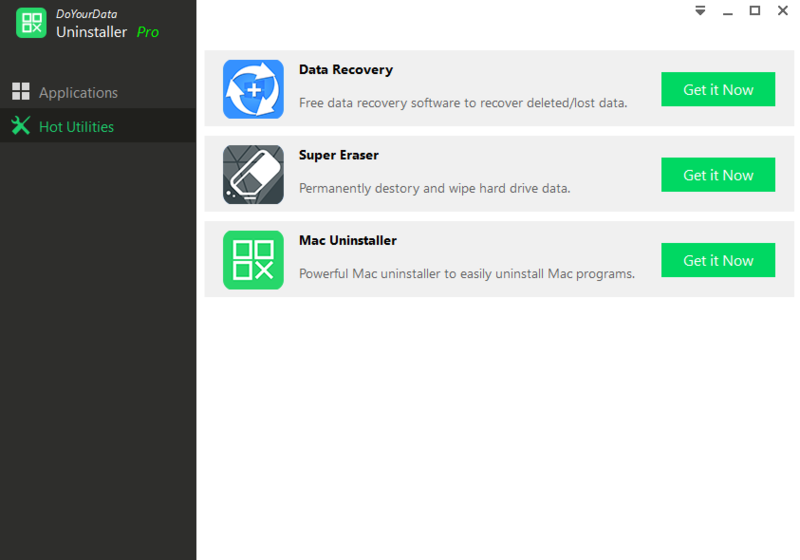 Smart Mac uninstaller to easily and completely uninstall applications, plug-ins and clean up all leftovers under macOS or OS X. Easily and permanently erase sensitive data from hard drive, digital camera, USB flash drive, memory card, etc. Reliable free data recovery software to easily and quickly recover deleted, formatted, inaccessible files from hard drive or storage media. 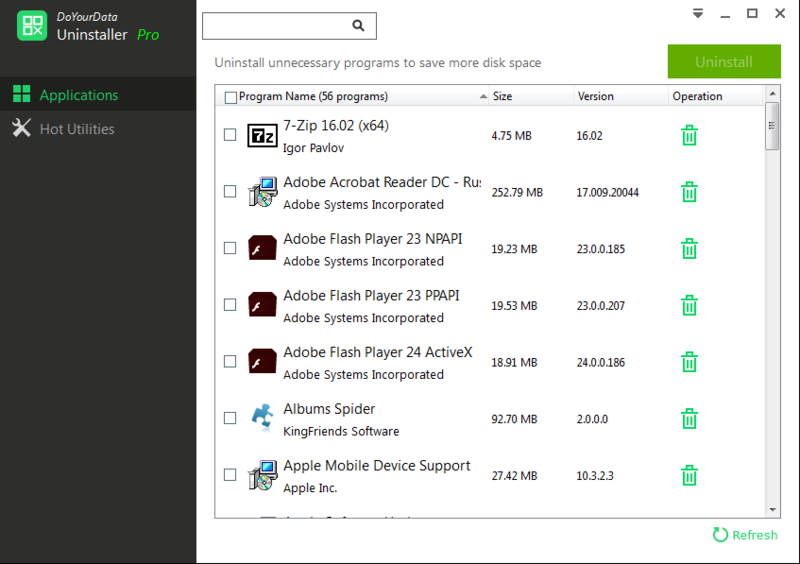 -- to use this program as an uninstaller: is anyone serious? Wanted to compare it with Revo but unable to make it run. Seemed to install on windows 10 64bit. At the end of install I selected run now and it did not run. Tried running from desktop icon and it said already running. Looked at task manager which indicated it was running as a background app. Shut it down via task manager. Tried running from desktop icon again. Said Loading then terminated about 20 seconds later. Tried running install again and it requested to uninstall existing version which I agreed to and it appeared to uninstall. Then in trying to reinstall it informed me that the installation folder still existed which I found quite disturbing as it indicates that a "guaranteed I will uninstall everything leaving no trace program" didn't even do that to itself. Anyway on reinstall it still says Loading then terminates about 20 seconds later. Think I will unistall it using Revo and call it a day. Unless someone can tell me where I am going wrong. Wanted to compare it with Revo but unable to make it run. Seemed to install on windows 10 64bit. At the end of install I selected run now and it did not run. Tried running from desktop icon and it said already running. Looked at task manager which indicated it was running as a background app. Shut it down via task manager. Tried running from desktop icon again. Said Loading then terminated about 20 seconds later. Tried running install again and it requested to uninstall existing version which I agreed to and it appeared to uninstall. Then in trying to reinstall it informed me that the installation folder still existed which I found quite disturbing as it indicates that a "guaranteed I will uninstall everything leaving no trace program" didn't even do that to itself. Anyway on reinstall it still says Loading then terminates about 20 seconds later. Think I will unistall it using Revo and call it a day. Unless someone can tell me where I am going wrong. I used Revo uninstaller in the past, and sometimes it failed to take out leftover files correctly, but now I use Geek Uninstaller. It cleans leftover files better and is "Free". I've never had any problems at all with Geek. 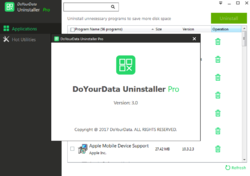 It's my go to uninstaller. Wow, I guess that you showed me! Tried to install and it and it never ran, then turned two other giveaways from the same venfor into trial ware! Is this softorbits under another name?!? Wasted time. Frustration. Unimpressed. Thanks guys. Revo my go to one, but always worth having a backup or two. Will look at Geek Uninstaller mentioned by Tim, unknown to me. Thing about settling on one major app happily is that one tends to ignore others as they come along. GOTD comments help to prompt trying or ignoring new ones. Small file anyway so what's to lose.